Today, World War II is considered to be one of the bloodiest wars in the history of mankind, especially when the casualty list exceeds sixty million, most of which were civilians. I recall studying the Second World War in my history lessons and again during my Master’s programme at Universtity. Today, my niece studies the war in her history lessons. Such text books appear to have forgotten the Vietnam War, one of the bloodiest battles America fought, yet the second World War is one that left a scar on the international community as a whole, which is still remembered, studied and understood by budding soldiers, wannabe professors and history enthusiasts around the world. World War II influenced many nations, almost the whole world effectively being sucked in, creating a lasting impact throughout, damaging most nations internally. It also led to the fall of western power nations, leaving two ‘contestants’, the then Soviet Union and the US in the ‘race’. The War started in 1939 and ended in 1945, with the invasion of Poland and fall of the Axis power group respectively. It affected many great powers, including Germany, Great Britain, United States, Japan, Russia and France and involved every nation, neighbours or not. Thousands of battles were fought and millions were lost and mourned. The two important battlefronts were between Britain and Germany and America and Japan. These battlefronts were then split into smaller battlefronts and so on. Numerous lives were lost on land, in the air and sea. Some of the notable, and accordingly more famous battles fought were: The Battle of Britain, Midway and Battle of the Atlantic. The years prior to the Second World War were very troublesome and economically harsh for the people across the globe. The great depression had begun decades earlier, leaving the world’s nationals unemployed and desperate. Nationalism was flowing in the blood of the Germans, as punitive measures of the Versailles Treaty ended World War I. The Germans were very unhappy about it, as they found the treaty too harsh. By the 1920’s the Germans were losing their money and by the fall of 1920 Germany became poor. There were no more jobs and the price of food and other basic necessities was quiet high. People were dissatisfied with the government and gave power to a young man who promised to rip the Treaty of Versailles apart and bring back the nation’s respect. This young man was Adolf Hitler. Following his appointment as chancellor of Germany in January 1933. After hours in position, Hitler secretly began building arms and ammunition. In 1934 he ordered the expansion of the German military, warships subsequently being built and the German Air Force being created. Compulsory military service for nationals was also introduced. Britain and France were quiet aware of Hitler’s actions, but the rise of communism in Russia caught their attention as they believed that a stronger resistance force in the West would stop the Russian’s expansion. In 1936 Hitler ordered German troops to enter the Rhineland.The German army at that time was not very strong, less prepared and could have been easily have been defeated, but France and Britain were not prepared for another war. At this time, Hitler made two important alliances. The first pact was known as the Rome–Berlin Axis Pact between Hitler’s Germany and Mussolini’s Italy. The second was the Anti–Comintern Pact between allied Germany and Japan. Hitler’s next plan was to take back the land that was once under German rule. In March 1938, Germany sent troops to Austria. The Austrian leader was forced to take a vote, one that was again fixed. The vote showed that 99% of Austrians were in favour of Anschluss (a union with Germany). This prompted the Austrian leader to then request assistance from Britain, France and Italy. Hitler promised that Anschluss was the final task in his expansionist desires and didn’t want another war. Other countries at this time did nothing to prevent the German invasion. Six months later, Hitler demanded that the Czechoslovakian region of Sudetenland be handed over to Germany. Neville Chamberlain, the then Prime Minister of Britain, met Hitler three times in 1938 in an effort to sign an agreement and prevent war. Struggling at home, neither Britain nor France was prepared to go to war with Germany. However, the time for a war had come as British military experts believed Poland to be Hitler’s next move. Both Britain and France promised to take military actions against Hitler’s regime if he at any time attempted to invade Poland. Chamberlain believed that Germany being threatened by two nations would halt Hitler’s aggression. Chamberlain however was wrong. On 1st September 1939, the German invasion of Poland began. This invasion was largely possible due to the German–Soviet Pact, which was also known as the Molotov-Ribbentrop Pact, named after the two foreign ministers who negotiated it, an economic agreement signed on August 19, 1939, allowing Germany to exchange manufacturing goods for raw materials from the Soviets. Nazi Germany and the Soviet Union also signed a 10 year non aggression pact on August 23, 1939, in which signatories promised not to attack each other. The German–Soviet Pact thus allowed Germany to enter Poland without fear of Soviet intervention, which in turn led to the invasion on 1st September 1939. The non aggression pact contained a secret protocol partitioning Poland and the rest of Eastern Europe into Soviet and German areas of interest. 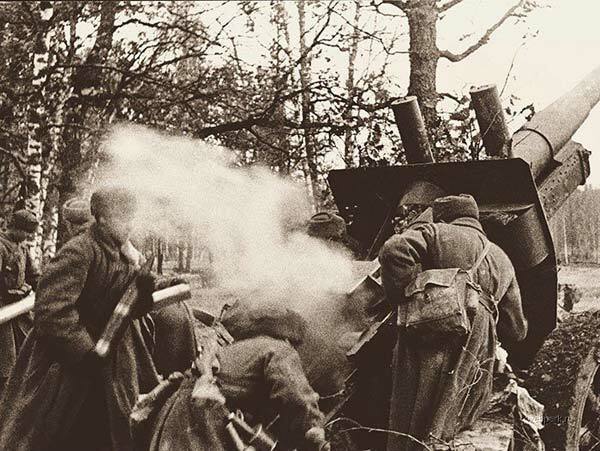 As per the plan, the Soviet army occupied eastern Poland in the autumn of 1939. The Allies believed that the Treaty of Versailles was quite harsh for Germany and there were numerous issues associated with that needed to be put right. They felt that by giving in to Hitler’s desires another war would be prevented. The policy, adopted by Chamberlain’s government, came to be known as the policy of Appeasement, a notable example being the Munich Agreement of September 1938. Germany, Italy and Japan were testing the newly formed League of Nations, through multiple invasions and expansions of nearby nations. In 1931, Japan’s economy had reached the lowest point as depression had torn through the lives of its population. People lost faith in the Japanese government and turned to the military for a solution. The imperial army then invaded Manchuria in China, a region with rich minerals and resources. As China reached out to the League of Nations for help, the Japanese government were ordered by the League to withdraw its troops. However, the army did not stop until Manchuria was occupied. The League of Nations called for countries to halt their trade with Japan, the fear of great depression and a falling economy ensuring that no nation was to agree to this request. The League then made another request for Japan to withdraw from Manchuria but Japan was now more interested to leave the League. Italy invaded Abyssinia in October 1935. The Abyssinians were outgunned and outmatched compared to the Italians and requested that the League of Nations intervene. The attack was condemned by the League who then requested that, as they did with Japan, member nations stop trade with Italy. However trade restrictions did not have much of an effect, Italy still being free to trade with non member states such as America. The factors that lead to fall of the League were quiet simple, the League itself had no powers, there were few members, and they did not have an army to carry out or prevent an entire invasion. After the invasion of Abyssinia, Italy’s need for increased power drove Mussolini closer to Hitler. Mussolini cited Italy and Germany as one of the most influential regions in Europe as all other nations would revolve around the ‘axis’. Germany left the League in 1933 with Mussolini departing four years later, the League of Nations imposing harsh economic sanctions following their invasion of Abyssinia. The invasion of Czechoslovakia in March 1939 angered Mussolini as Hitler was carving out an entire German empire, ignoring the needs and desires of Italy. To ease his ‘hunger’, Italy invaded Albania on Good Friday 1939. For him, Italy’s rise in power had begun. King Victor Emmanuel was offered the title of King of Albania. Italian propaganda made a great deal out of this but in reality Albania had been under the influence of Italy for years and this was barely an Italian military success. Mussolini made it very clear, he expected Italy to conquer the entire Adriatic Sea and any countries falling around it. In May 1939, Hitler’s Germany and Mussolini’s Italy signed the Pact of Steel. The Pact ensured that both nations support one another if either goes to war. Mussolini believed that Hitler’s Non-Aggression Pact with Communist Russia somehow involved Italy too and he saw it as a three nation treaty, despite Italy never being a signatory. In the last pre war years, Nazi Germany walked from one conflict to another rearming itself, annexing Austria and invading Czechoslovakia. The United States at this time passed several Neutrality Acts, with the aim seemingly of avoiding involvement in foreign wars as the nation was struggling from depression and unemployment. On 11th December 1941 however, Germany declared war on the United States following the Peal Harbour attacks, Japan receiving assistance from Germany under the Anti-Comintern Pact. This in turn ensured that the Allies received the support of the United States from that moment on. The Axis powers had few overarching objectives: dominating Europe, overthrowing the Allies and revenge for their humiliation in World War I. An extremely nationalist sentiment ran through their veins and they wished to revive their former glory. Their aims included territorial expansion and the foundation of empires based on military conquest and the overthrow of the post-World War I international order. The Allies promoted the alliance as seeking to stop wars of aggression being waged by the Western and Eastern powers associated with the Axis. The immediate goal of the allied powers was to eliminate Nazi Germany on the western front, another being to eradicate the containment of communism. The common purpose of the Allies was to defeat the Axis powers and create a peaceful post-war world. Its creation was a response to the aggression and unprovoked war the Axis had unleashed upon the world. Each country had different ideas about what this post war world would look like. Britain wanted to create a post-war Europe that would prevent Germany from rising again, the United States wanting a permanent end to the fascist regimes of Germany, Italy and Japan, whereby the Soviet Union were anxious to gain influence over Europe.